Found this trolling through the America’s Historical Imprints database. It’s an advertising card, but there is no year on it…they guess sometime between 1870 and 1900. 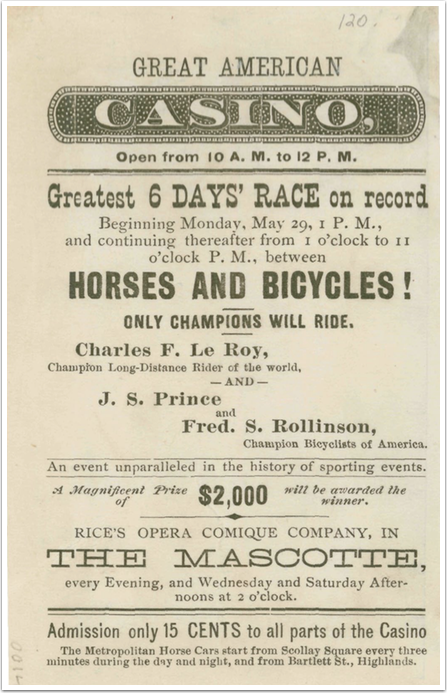 So this could be the 125th anniversary of the Six Day Bike vs. Horse Race! 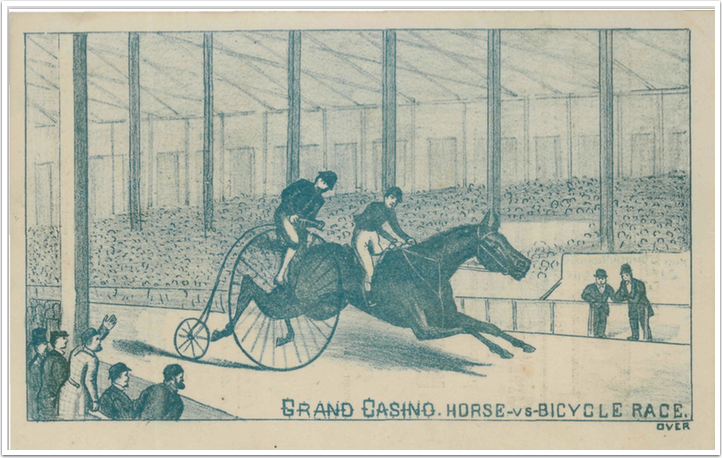 I could find nothing else about this historic event – assuming it is the 125th anniversary – the $2,000 prize comes out to over $50,000 – not a bad haul for racing horses for six days. I wonder if we could organize one of these today? Sounds like fun. This entry was posted in What could possibly go wrong? on April 22, 2015 by Gary.